When Did We Start Putting ID Tags On Our Pets? 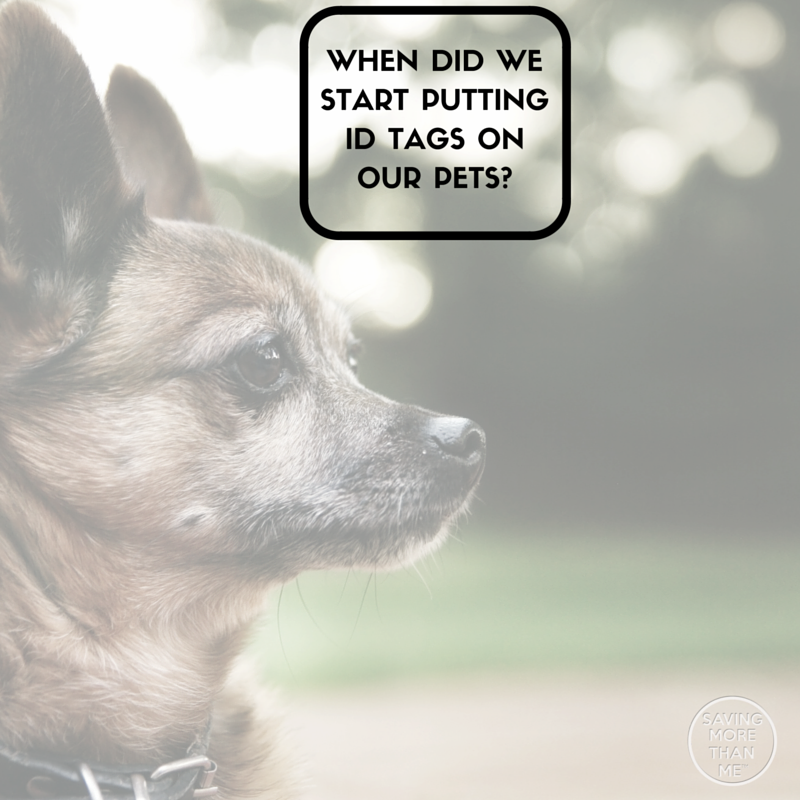 You're here » Home » Pets + Animals » When Did We Start Putting ID Tags On Our Pets? We love our pets, and they love us. When we walk through the door at the end of a long day, they come running to us, paw over paw. Their positive energy is infectious and what may have been a bad day is now a good one. 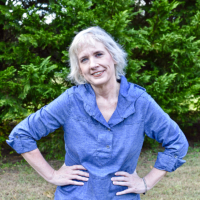 They bring happiness and joy to our lives and they remind us not to sweat the small stuff. Our pups show us how to live in the moment, and to appreciate things for what they are. They have no expectations and no motives (well, maybe food 😉 ). Our pets just want to be by our side. 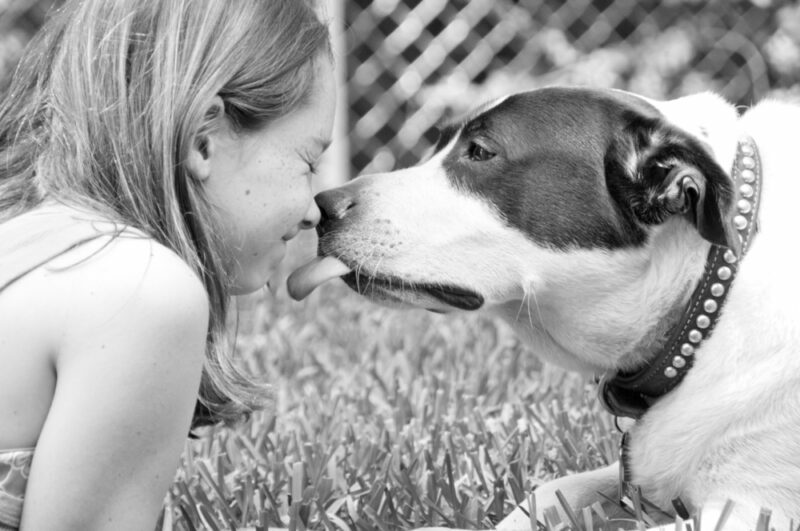 We are truly blessed to have such loving and affectionate creatures in our life. But, what would we do if we ever lost our furry friend? What if when we went into the backyard to call Shadow (or Fido, Bear, or Max) and he wasn’t there? Fear would set in and you would certainly feel devastated. To make matters worse, what if he wasn’t wearing his collar? We’d have to start searching the neighborhood, create “Lost Dog” posters, and call all of the local animal shelters. Shadow may be microchipped, but that doesn’t help anything unless he’s scanned. Will a stranger take in your dog and give him a new home? Or will he be shooed away on the streets—treated like a stray? 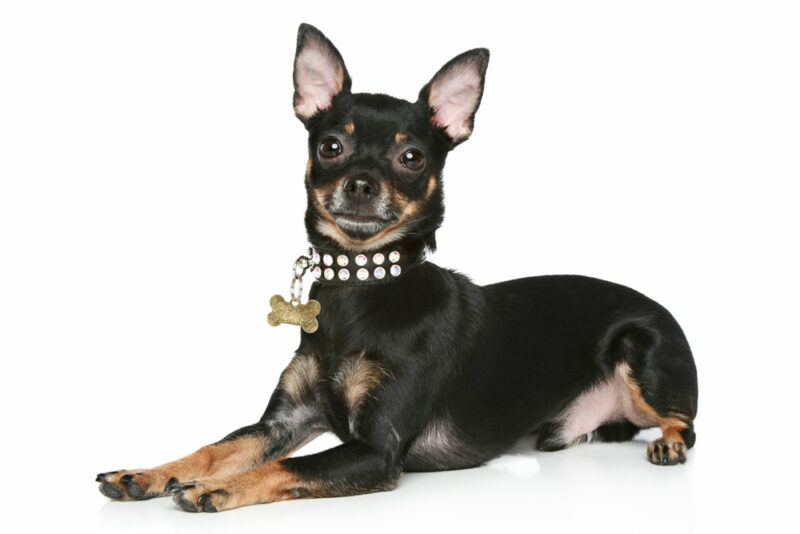 Dog tags for pets are an essential part of being a responsible pet owner. Visible pet ID tags help your dog (or cat) get back home. According to The New York Times and a 2007 Journal of the American Veterinary Association report, fewer than half of lost dogs were wearing tags at the time they went missing. This makes bringing your beloved pet home more difficult than is necessary. Let’s look at the story of the calico cat named Willow. Willow went missing from home in Boulder, Colorado in 2006. Her owners, Jamie and Chris Squires, were unable to find her and assumed she had been killed by roaming coyotes. Five years later, in 2011, the Squires got a call from Animal Care and Control based in New York. The shelter had Willow! Because she had been microchipped, Willow was returned to her family. However, if Willow had been wearing a pet ID, she might have been reconnected with her family long before. The first recorded dog license dates back to 1446 in Utrecht, Holland. The fee for licensure cost a couple of pounds of salt (yes, salt). 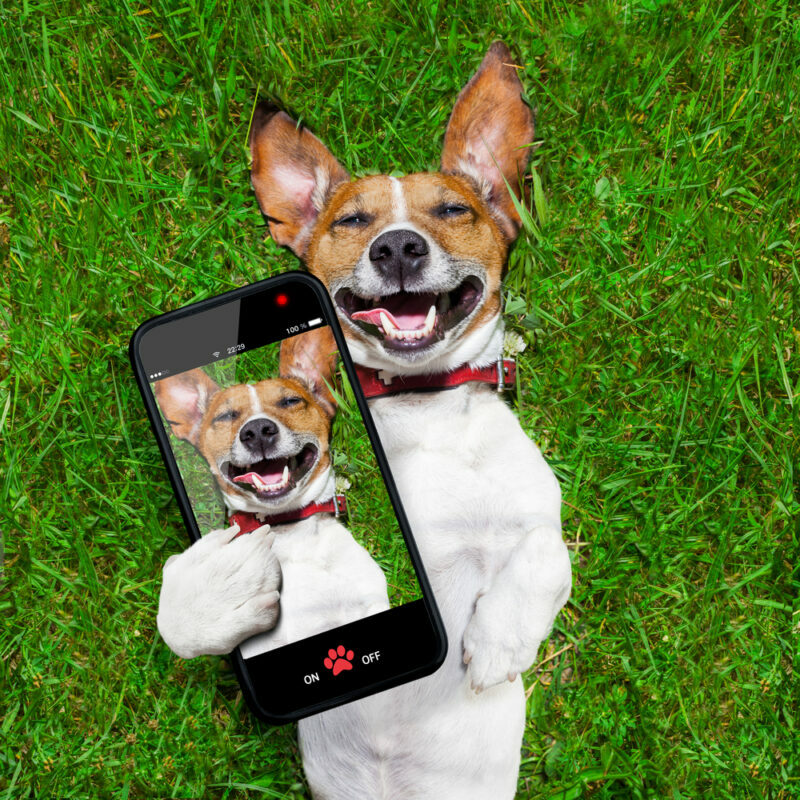 In 1598-Germany, dogs were taxed and recorded. The Bark writes that as pet ownership in the 19th century U.S. grew, dog licensing and tags got a new look. The earliest form was paper. Available in an array of colors, the paper license was printed with the dog’s image and owner information. Towards the end of the century, companies started producing metal dog tags stamped with three-leaf clovers, keystones, and six-pointed stars. The Bark found that foreign pet ID tags usually included a coat of arms. Tags at this time included the city the dog was from and his license number. During World War II, tags were made of pressed filaments (such as plastic and fiber) as materials like aluminum and brass were needed in the war effort. Today, our pet ID tags come in a variety of shapes, colors, and materials. Think of the pet ID as your furry companion’s driver’s license. Well Minded recommends including your telephone number, cell number, and even the pet sitter’s number, should you be unreachable. Including your address is suggested, but not necessary. One thing not to do is to include your pet’s name on the tag. People looking to scoop up a dog will use your pooch’s name to call him over, making it easy to walk away with him. Other tags to include would be your pet’s rabies vaccination tag and the telephone number of your vet. Protecting our animals is part of being a good pet parent. A simple pet ID tag helps us do just that. Does your pet wear an ID tag? What an interesting history of dog ID tags! My dogs always wear tags & are micro-chipped. Losing your pet can be utterly devastating, they are family.